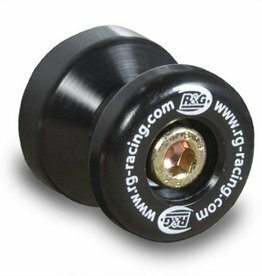 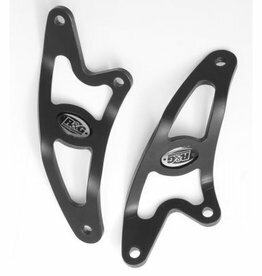 These crash protectors are suitable for the RSVR/Factory 2004-2007 and Tuono 2006 model onward, and are lower/rear mounted. 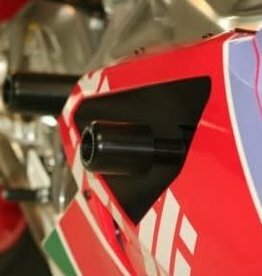 These fork protectors help to eliminate damage to the front forks during a drop. 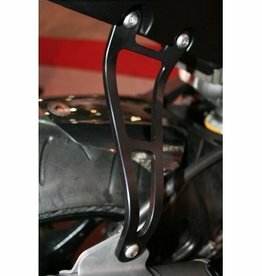 This Tail Tidy is suitable for The Aprilia RSVR/Factory '04-'07 models onward and the Tuono 2006 onward models. 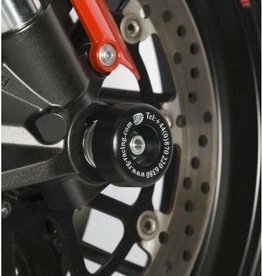 These crash protectors are suitable for the RSV Mille and RSVR 2001-2003 models, and are top/front mounted. 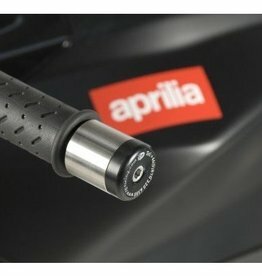 This Exhaust Hanger is suitable for the Aprilia RSV '98-'03 with twin exhaust system. 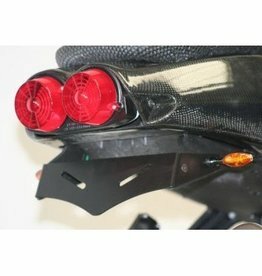 This Pair of Exhaust Hangers is suitable for Aprilia Tuono ('06-) model.